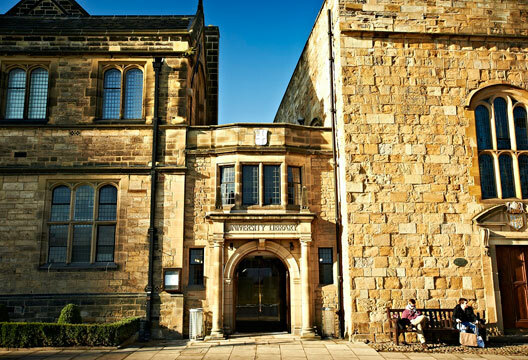 Head to Durham University's Palace Green Library before the end of February. The world’s first major exhibition on hearing voices (auditory hallucinations) is taking place at Durham University’s Palace Green Library until 26 February 2017. Hearing Voices: suffering, inspiration and the everyday is the first exhibition of its kind to examine this experience from different cultural, clinical, historical, literary and spiritual perspectives. The free exhibition shows that hearing voices is a part of human experience that is often rich in meaning and aims to challenge the stereotypical view of voice-hearers and the stigma attached to the experience. The exhibition examines the distress experienced by voice-hearers diagnosed with mental illness, while also looking at the everyday contexts in which people hear voices. It shows voice-hearers’ testimonies from across the world, original artworks by young people, and voice-hearing experiences in different contexts (including imaginary friends in childhood, highlighted in a public lecture from psychologist Charles Fernyhough on 8 February). The exhibition is informed by research carried out at Durham University by Hearing the Voice. Funded by the Wellcome Trust, Hearing the Voice is a large interdisciplinary study of voice-hearing covering clinical, psychological, neuroscientific, philosophical, linguistic, sociological, theological and literary approaches to the phenomenon. With material spanning seven centuries – including rare manuscripts, devotional objects, art installations and interactive displays – the exhibition also explores the divine voices heard by medieval mystics, the links between voice-hearing and literary creativity, and the inspirational stories of members of the international Hearing Voices Movement. The Isle is Full of Noises - A sound and animation installation by South African artist Victoria Hume about the experience of hearing voices. Powerful personal testimonies from voice-hearers across the world which help tell the story of the international Hearing Voices Movement, and the fight for an end to stigma and discrimination against people who hear voices. Hearing Voices: Suffering, Inspiration and the Everyday is on show at Palace Green Library until 26 February 2017. It will be open Tuesday-Sunday, 10am-5pm, and Monday 12noon-5pm. Entry to the exhibition and all associated events is free of charge. For much more on hearing voices, search our archive.